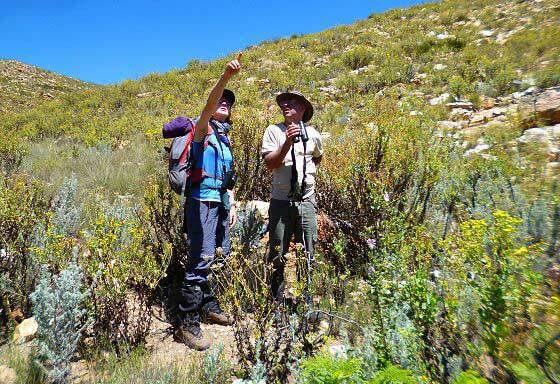 This Africa volunteer expedition will take you to South Africa’s beautiful Cape Floral Kingdom (fynbos), a UNESCO World Heritage Site and the world’s only biome contained within one country, to conduct a survey of leopard and fynbos biodiversity and to experience African fauna (such as buffalo, giraffe, eland, kudu, zebra, etc.). 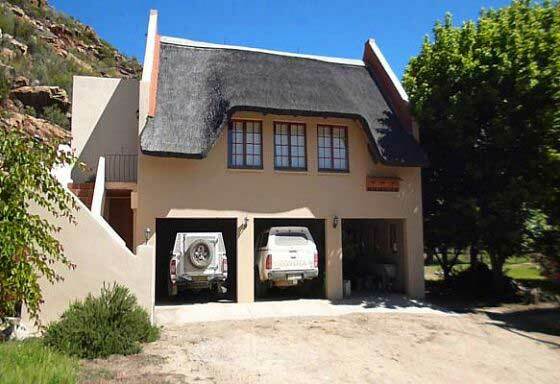 Based in a remote mountainous part of the Western Cape on a comfortable former farmstead with all modern amenities, you will first learn some bush skills and then conduct surveys on foot, mountain bike or car. 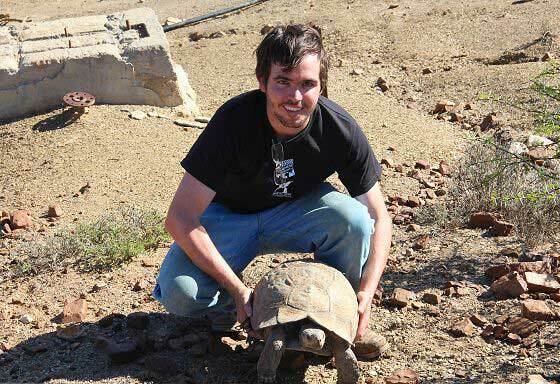 You will also set camera traps, conduct game counts and you may assist with cat capturing and collaring, and other studies that may be ongoing at the research site at the time, such as bird, tortoise or flower monitoring. All this in an effort to mitigate human-wildlife conflict and create a sustainable future for all. Come join us in the field! The Cape Floral Kingdom is classified as being in the Mediterranean climate zone. It is generally dry and warm, but rain and low temperatures are possible. The expedition team will be based on a former farmstead in a remote part of the mountains. Team members will share, on a twin bed basis, comfortable rooms with all modern amenities. Up to 10 team members + 1 local scientist + 1 expedition leader. What kind of people will be on the expedition team? Ability to walk about 10 km, sometimes when it is hot and often in broken, steep, mountainous terrain. There are also options to conduct surveys on mountain bikes and to get involved in non-strenuous activities, ranging from data entry to camera trap maintenance. (1) With an emphasis on leopard, monitor density, abundance, spatial distribution, home range size and habitat preferences of wildlife using transect and camera trap techniques. 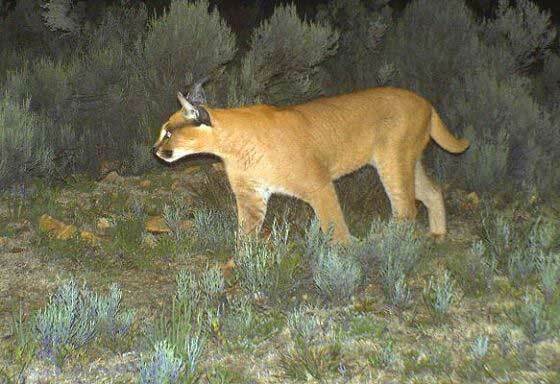 (2) Monitor small mammal and cat prey species, such as antelopes and rodents, by trapping, camera trapping and transect survey efforts. 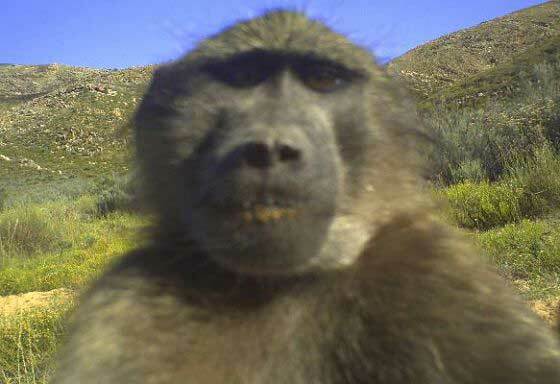 (3) Assist various biodiversity monitoring programmes that may be happening at the research site at the time, e.g. bird, bat, tortoise or flower monitoring. 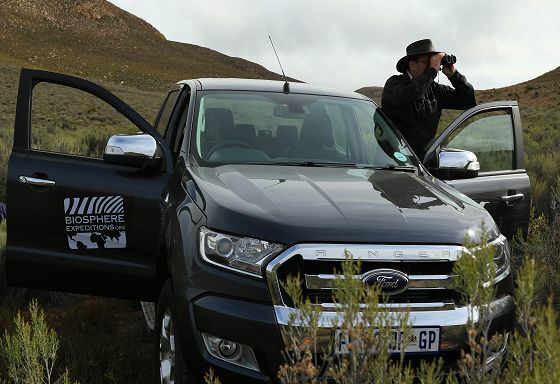 This expedition focuses on monitoring one of Africa’s iconic cats: the threatened Cape mountain leopard and complements activities undertaken by the Eastern Cape Parks and Tourism Agency, the government department in charge of managing protected areas. A key activity is the deployment of camera traps on the western section of the protected area to monitor leopards through the identification of their unique coat patterns. 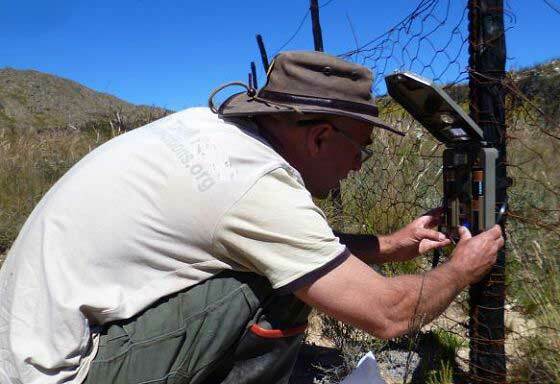 Other work includes participating in a range of biodiversity monitoring, such as monitoring the prey base of leopards through small mammal trapping, as well as tracking medium mammal abundance through transect surveys. 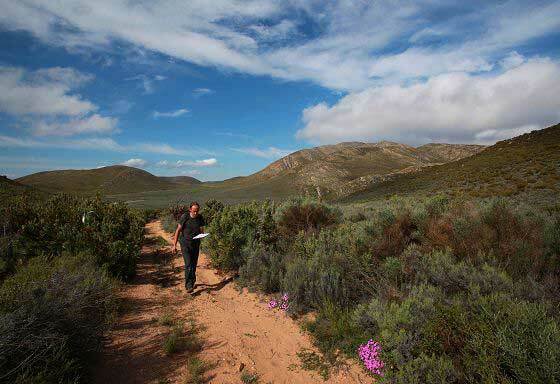 The study site in the unique biome of South Africa’s Cape Floral Kingdom (fynbos) – a UNESCO World Heritage Site and the world’s only biome contained within one country. Biodiversity monitoring across a broad spectrum of animals is especially important here in the face of climate and other global changes. 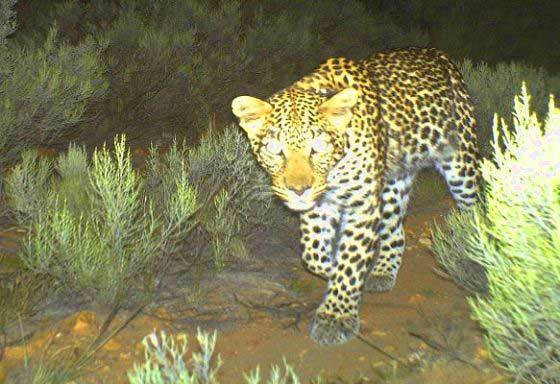 The ultimate goal is to develop a remote monitoring technique that will better inform landowners of the status of their prey wildlife and predatory cats, identify potential conflict areas, and use the knowledge gained to improve the conservation status of leopards and their environment. Almost all of Africa is under some sort of human impact and the Cape Floral Kingdom (fynbos) is no exception. 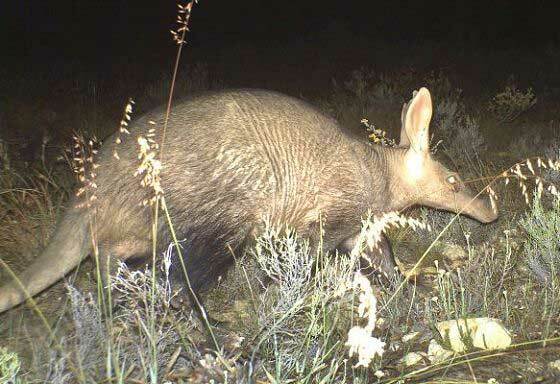 Much wildlife roams on understaffed, underfinanced, remote, mountainous nature reserves where monitoring is difficult; or on private farmland where landowners have mixed attitudes to perceived problem animals such as leopard, caracal, jackal, baboon and bushpig. The Cape mountain leopard is one of South Africa’s TOPS (Threatened Or Protected Species), which restricts legal hunting, but the laws are near impossible to enforce. There is a strong farmer lobby pushing for greater control of ‘pest’ species and evidence suggests control by legal and illegal methods is widespread across the country. Wherever humans and wildlife come together, conflicts tend to appear and human-wildlife conflict has been identified as one of the biggest threats to biodiversity worldwide. Sound scientific knowledge is key to mitigating this conflict and to making wise management decisions that balance the need of humans, wildlife and the environment. We believe that knowledge is the key to conservation and the most effective way to mitigate human-wildlife conflict. The Cape Floral Kingdom is one of the world’s biodiversity hotspots and as such a UNESCO World Heritage Site. 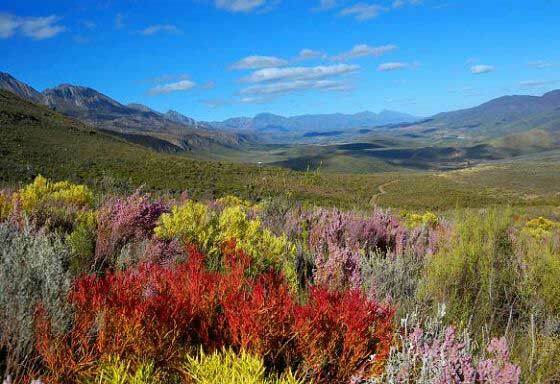 It is dominated by a fire-driven ecosystem – the fynbos biome with unsurpassed botanical richness: 7,000 of 9,000 plant species that are found here are endemic. It is in the flower-filled Cape Fold Mountains of South Africa that the Cape mountain leopard is found – a leopard half the size of the savannah leopards of Africa, but with home ranges twice the size. In 2008 the IUCN (International Union for the Conervation of Nature) classified leopards as Near Threatened, stating that they may soon qualify for the Vulnerable status due to habitat loss and fragmentation. 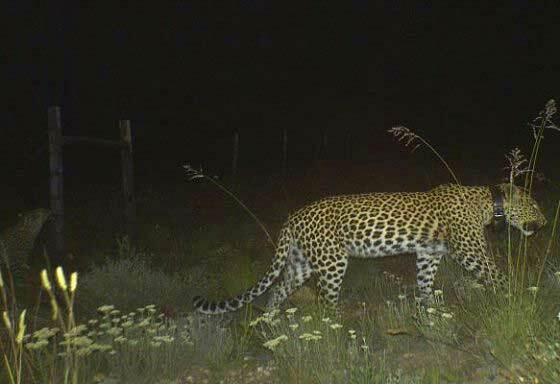 Indeed, they are becoming increasingly rare outside protected areas and there are likely fewer than 1,000 leopards across the entire 90,000 km2 of the fynbos biome. Despite the importance of fire in driving ecological patterns in the fynbos, the role of fire on determining population sizes or land use patterns of many mammal species (including leopard) is poorly understood. Leopards are iconic and awe-inspiring creatures. 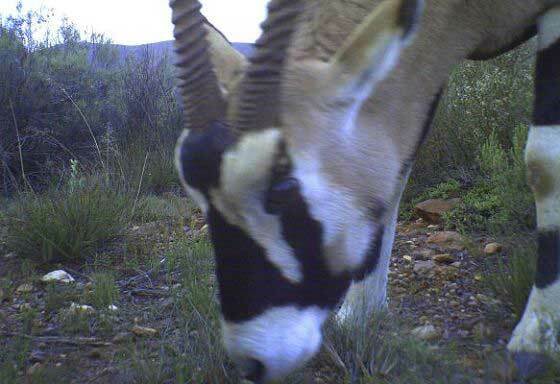 They are the last remaining apex predator in the fynbos, where once lions roamed. This is really important: there is mounting evidence to show that smaller predators, e.g. black-backed jackal and mongoose species are more common when leopards are rare or absent. Black-backed jackal are notorious stock predators, resulting in significant loss of small stock: especially in the Karoo area adjacent to the fynbos – an area where leopards are largely absent. 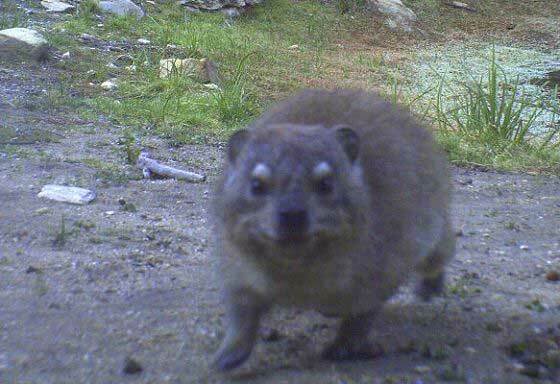 Similarly, mongoose and wildcat have been documented predating eggs and chicks of endangered bird species at the study site. Hence, removing leopard from an area has the potential of significant negative repercussions for both landowners and wildlife. 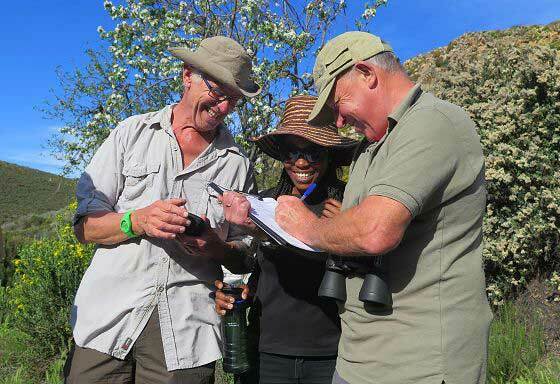 The study site is a registered CapeNature stewardship nature reserve and it is an obligation of management to undertake biodiversity monitoring. 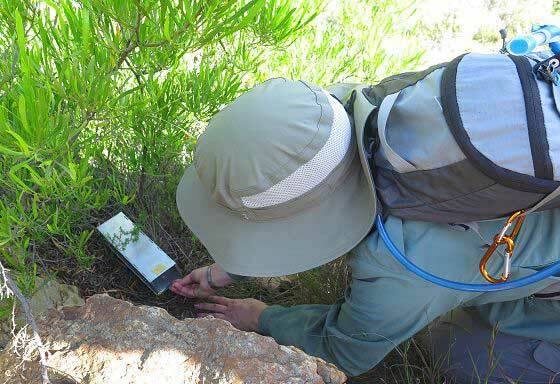 We will be conducting a variety of biodiversity monitoring activities, because resources that are not measured are rarely considered when management or planning decisions are made. Biodiversity is the amount of diversity between different plants, animals and other species in a given habitat at a particular time. Some evidence exists that shows that by protecting keystone or flagship species (such as the leopard and caracal), other biodiversity can also benefit. 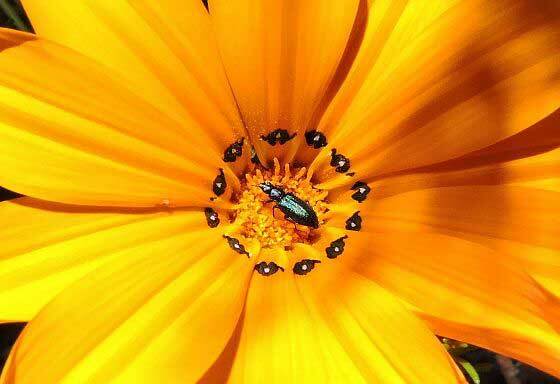 The fynbos is home to a range of unique and endemic life forms, including a variety of bird and insect species. Other mammal species present in the wider area (you can visit a neighbouring game farm on your day off to see many of the ones you miss during the expedition surveys) include: Cape buffalo, Cape mountain zebra, Burchell’s zebra, giraffe, black wildebeest, greater kudu, grey rhebok, mountain reedbuck, klipspringer, grey duiker, Cape grysbok, eland, bushbuck, steenbok, springbok, red hartebeest, blesbok, vervet monkey, Cape fox, bat-eared fox, aardvark, aardwolf, honey badger, Cape genet, mongoose, Cape clawless otter, Cape hare, red-tailed rock rabbit, rock hyrax or dassie, crested porcupine and various bat species identified by previous expeditions. Your typical day begins early in the morning with breakfast. You will then split into small groups to complete the research tasks assigned to you for the day. Depending on your task, fitness level and skills, you may leave base in a vehicle, on a mountain bike or on foot. You will return to base for a lunch break and then depart for fieldwork again until dinner, or you may stay in to enter data into the expedition laptop(s). There will be a daily debriefing session before dinner, where you will report back on your day’s activities. After dinner, we will have talks, discussions and brainstorming/planning sessions for the next day. There will additionally be the occasional nocturnal survey too. At 1.2 million sq km, South Africa is the world's 25th largest country. 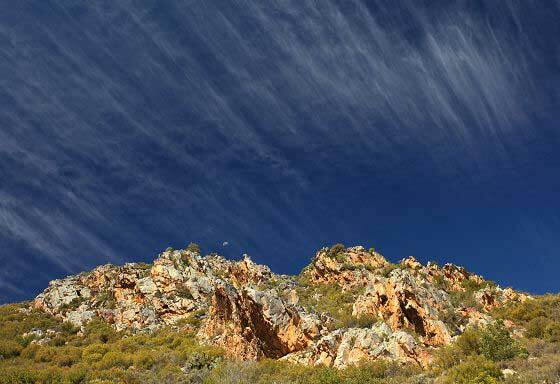 It is incredibly biodiverse, with habitats ranging from forest to savannah, grassland, thicket, karoo, desert and fynbos. South Africa is also very rich in wildlife, and is a favoured Big Five safari destination. 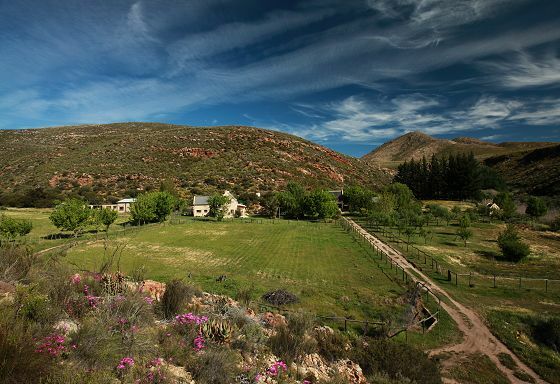 The core of the study site is the Blue Hill Nature Reserve, a 2,230 ha CapeNature stewardship nature reserve with mountains ranging from 1,000 to just over 1,500 m and under the care of the Lee family trust. CapeNature is the Western Cape provincial conservation department in charge of the network of nature reserves of the Western Cape. 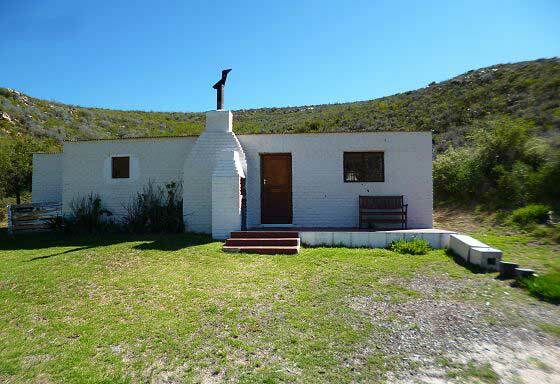 The property was purchased in 2009 by Chris Lee, a retired geologist who has been awarded the Draper Memorial Award for contributions to South African geology. The land was previously used for cattle ranching. 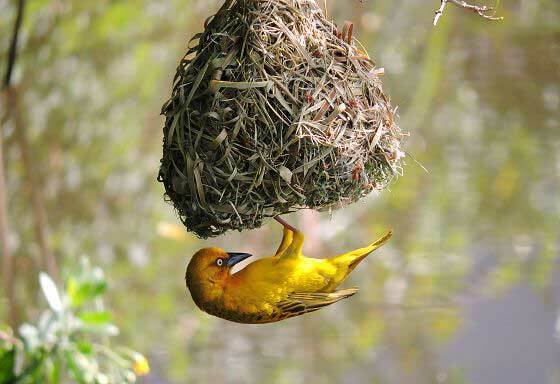 It was incorporated into the local community conservancy in 2010 and officially declared a nature reserve in 2013. 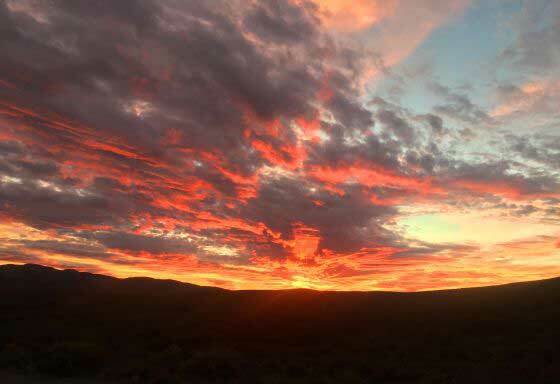 The trust has an obligation to manage the land for biodiversity under a management plan administered by Eastern Cape Parks and Tourism, the state organisation charged with managing the Baviaanskloof Mega Reserve. Information collected by Biosphere Expeditions contributes to this monitoring. 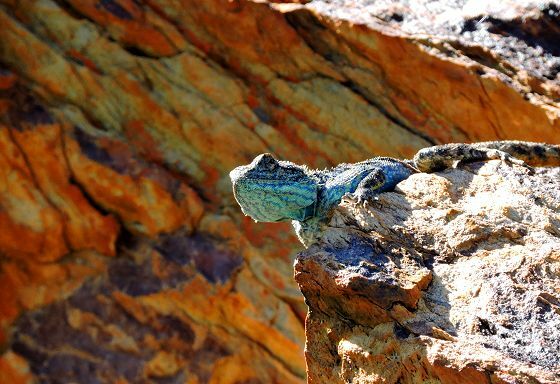 Blue Hill lies on the western side of the massive Baviaanskloof Mega Reserve and wildlife is free to move between these protected areas. 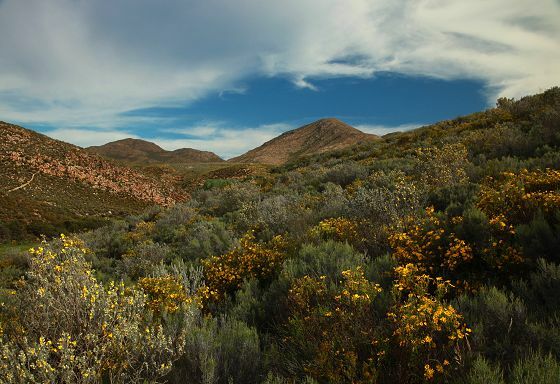 The Baviaanskloof area is one of outstanding natural beauty, owing to its spectacular land forms, a diverse array of plants and wide variety of animals. The area is also part of the Cape Floristic Region World Heritage Site as of 2004. Biosphere Expeditions' main partner for this expedition is Blue Hill Nature Reserve. 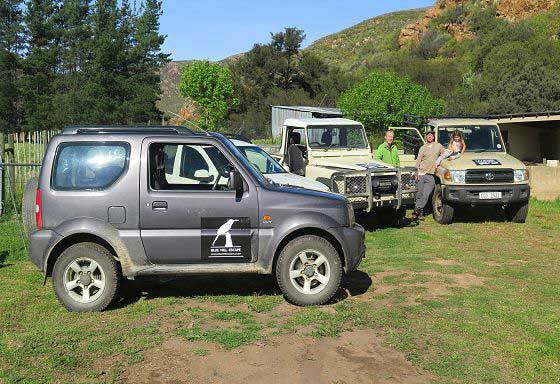 In turn, conservation partners for Blue Hill are CapeNature (responsible for the management of Western Cape province nature reserves), Eastern Cape Parks and Tourism agency (responsible for the management of the Baviaanskloof Megareserve), the BaviaansWes-Hartbeesrivier Conservancy (a local community of landowners involved in the clearing of alien vegetation). 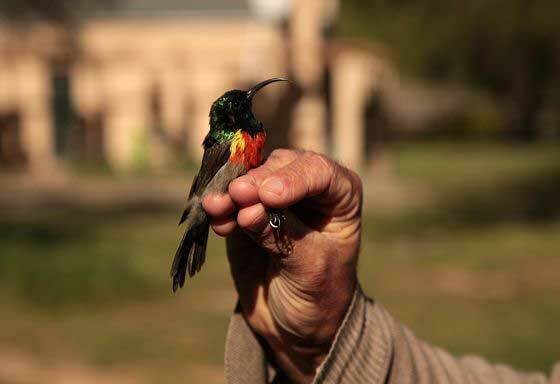 Blue Hill also supports a variety of research and conservation initiatives, for instance CREW (Custodians of Rare and Endangered Wildflowers) and the South African Bird Atlas Project. 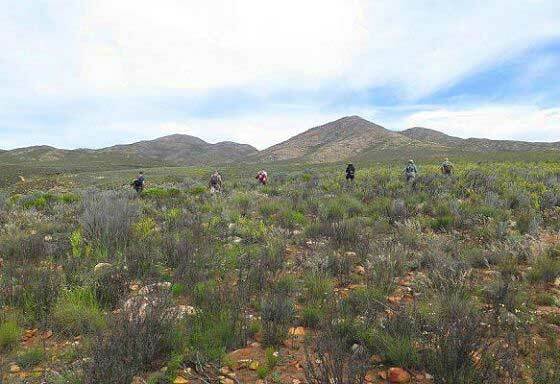 On the education front, Blue Hill has hosted students and staff of Living Lands (a collaboration working on living landscapes based in the eastern Baviaanskloof), and during 2017 conducted a research exchange initiative with students and interns of the nearby Oudeberg Nature Reserve. Alan Lee is the supervisor of various post-graduate level students, collaborating on research projects with the University of Cape Town, Nelson Mandela University and Rhodes University. 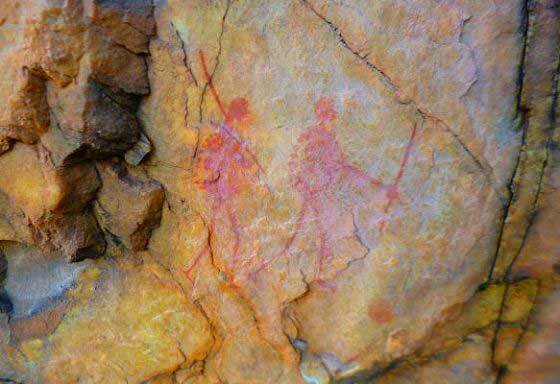 The 2015 inaugural expedition placed camera traps and analysed over 3500 images captured by such traps, conducted 20 km of flush and the first-ever small mammal trapping survey, worked on birds and bats, and discovered new locations and examples of ancient rock art. 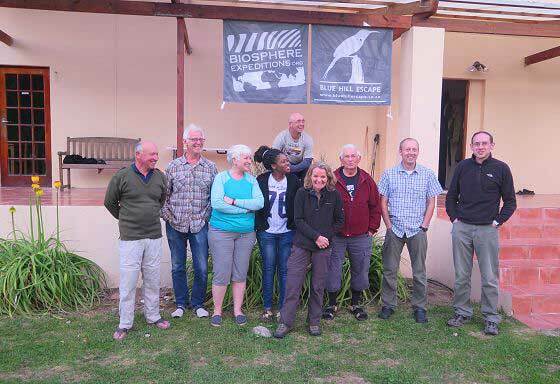 Finally, the expedition also hosted a South African national as part of its placement and capacity-building programme. All this in a showcase of how citizen science can work in the face of the proliferation of bogus voluntourism projects in South Africa and elsewhere. The focus on a variety of research projects is what makes this expedition special. A special project with Biosphere Expeditions in 2016 resulted in the first-ever capture of a Hottentot buttonquail, an endangered bird species endemic to the fynbos. 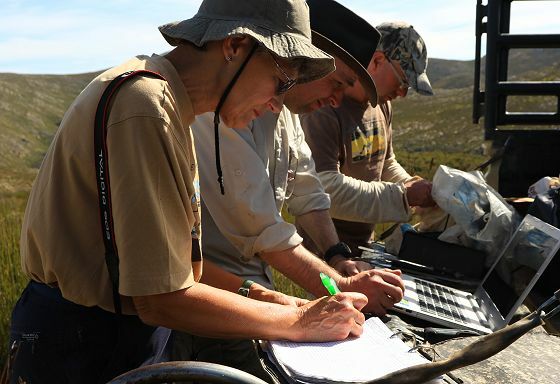 Dr. Lee has since published two articles based on the fieldwork from transect surveys on the Hottentot buttonquail. 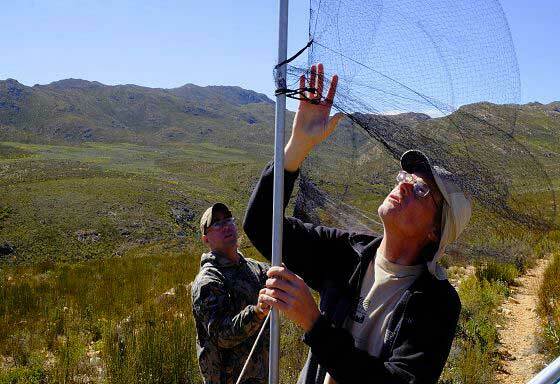 Various other publications are in the pipeline from research conducted in conjunction with Biosphere Expeditions, including how and why Cape rockjumpers are declining; the impacts of fire on various aspects of fynbos ecology, e.g. rodents (prey base of cat species at the study site); bats (with expedition leader Craig Turner) and even tortoises (the results of surveys conducted in 2016 on the impact of electric fences on tortoise populations). All these will add more useful pieces to the puzzle of what is known about South African wildlife in academic and conservation circles. All scientific reports and publications for Biosphere Expeditions are on the reports & publications page. As far as we are aware, Biosphere Expeditions is the only organisation in the world that has a direct and transparent link between the work done by citizen scientists and an expedition report. Each expedition year is matched by an expedition report for that year, which deals with the two main areas that expedition participants contribute to: funding and data collection. Chapter 1 of each report, written by Biosphere Expeditions, reviews the expedition logistics and publishes an expedition budget, which shows in a clear and transparent way income and expenditure for each expedition and the percentage of income spent on the project. Chapter 2 onwards, written by the expedition scientist, shows who collected what data, how they were analysed, what the conclusions were, as well as the conservation recommendations and actions flowing from this, and what future expeditions should do. In this way, each expedition comes full circle for its participants. A scientist involved in our Southern African carnivore work was made a laureate of the environmental prize "Trophée de femmes" of the Fondation Yves Rocher. Our Southern African carnivore work was honoured in Wall Street Journal’s "Best Volunteer Travel" list. Our Southern African carnivore work was honoured in Business Insider’s "Best Volunteer Vacation" list. Dr. Alan Lee, local scientist, South Africa.